Below the soil surface, the rhizosphere is the dynamic interface among plant roots, soil microbes and fauna, and the soil itself, where biological as well as physico-chemical properties differ radically from those of bulk soil. 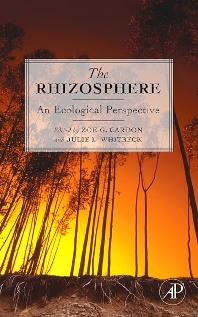 The Rhizosphere is the first ecologically-focused book that explicitly establishes the links from extraordinarily small-scale processes in the rhizosphere to larger-scale belowground patterns and processes. This book includes chapters that emphasize the effects of rhizosphere biology on long-term soil development, agro-ecosystem management and responses of ecosystems to global change. Overall, the volume seeks to spur development of cross-scale links for understanding belowground function in varied natural and managed ecosystems. Scientists, professionals, students and researchers in agriculture, silviculture, phytoremediation, bioremediation, and plant mineral nutrition, as well as general ecosystem ecologists. Members of organizations such as Soil Science Society of America, the Physiological Ecology and Soil Ecology sections of the Ecological Society of America, and the Soil Ecology Society. University of Connecticut, Storrs, U.S.A.
University of New Orleans, Louisiana, U.S.A.